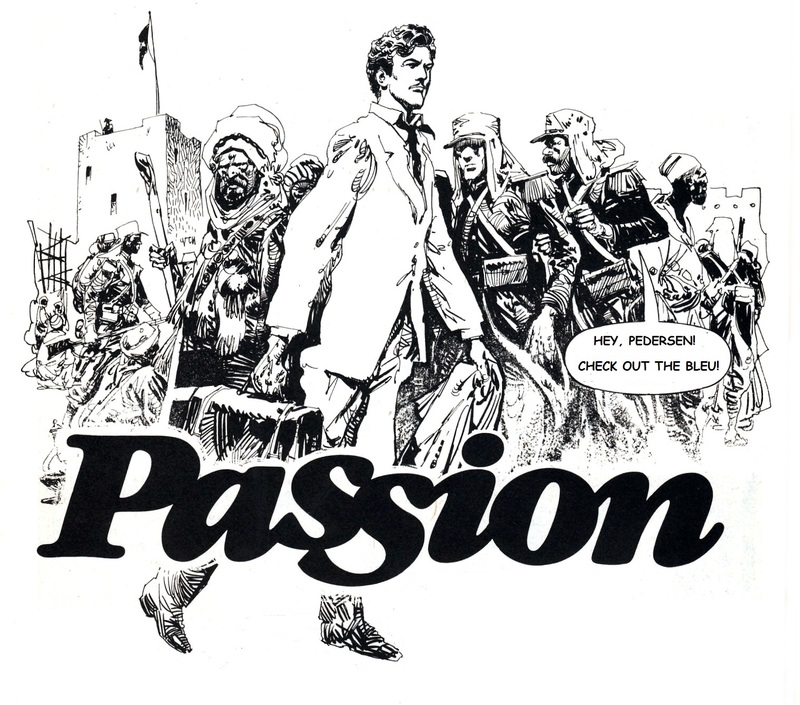 Here is a wonderfully drawn graphic tale of the French Foreign Legion that appeared in Vampirella #78 (May 1979), my favorite of all Warren Comic’s from the 1960’s and 70’s. The artist was Jose Ortiz and the story was by Steve Englehart. I was saving it for some special occasion but then I realized that Camarone 2015 is less than a week away. You will be surprised, perplexed and maybe confounded at the ending and most likely re-read the entire story to figure out what in the heck just happened. .pdf below…. Okay Jack, I’ll admit I’m stupid. I don’t get the ending. How does a tyranesoreus rex appear in the desert? How does he know it’s out there? Why does errorl flyn love it? Did Peterson know him from before? Was this guy some type of phantom? He wasn’t the dinosaur because he was in the picture with the dinosaur and they found his ripped and mangled body later. This story needs some splainin!!!!!! I hear you. I’m still stuck in the confounded stage as I could find no clues at all that could explain the dinosaur. I am also bewildered. All I can think of is le cafard, that makes the sufferer imagine all sorts of things. Holy moly, that was a very good story with some excellent art… until it went completely berserk at the end. There can be no explanation, at least not a rational one. Perhaps the sudden twist ending with the Dino might be acceptable on its own, if the comic was first published under some “Weird Tales” type title, but its surprise appearance being somehow connected to Errol Flynn’s forbidden “Love”… is just too ridiculous to bear. It’s just plain crazy! Still, I’m thanks for posting it, I’m glad I got to read it… well, at least most of it!